Jarrett Guarantano threw a 39-yard touchdown pass to Marquez Callaway on the final play of the first half and Darrell Taylor recorded four sacks as Tennessee trounced No. 12 Kentucky 24-7 on Saturday. 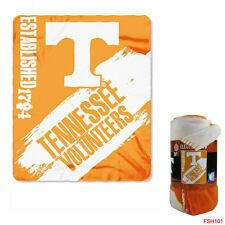 New Northwest NCAA Tennessee Volunteers Large Soft Fleece Throw Blanket 50"X60"